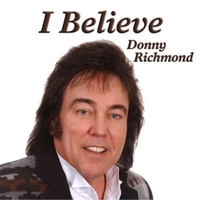 Get Donny's Recent #1 Single "I Believe"
DONNY RICHMOND is a Country Music Entertainer whose vast audience appeal and versatility in his music, and whose dedication to his faith and values, is now affecting pop culture internationally. DONNY RICHMOND's recognitions include: Country Gospel Music Association ARTIST OF THE DECADE and International Country Gospel Music Association ENTERTAINER OF THE DECADE. In fact, entertaining has been a way of life for Donny since he was a child. His winning smile, pleasing personality and healthy appearance helped Donny win a contest to pose for a milk advertisement when he was a baby. Donny was just four years old when he began singing for the neighbors around the kids' swings in the backyard. In the second grade, if it rained and the class couldn't go outdoors for recess, the teacher would call on Donny to sing. Richmond grew up in the suburbs of Maryland just outside of Washington, D.C. In Junior and Senior High School, he became interested in writing songs and wearing "dude" clothes; and would entertain his classmates. Donny sang at his own Senior Prom, wearing an outlandish gold outfit, including gold sparkle shoes. After high school and while appearing with bands at night, Donny attended college by day, studying music and acting. In 1992, while visiting Nashville, Richmond was invited to appear on a special recording project with Stonewall Jackson, featuring many of the all-time top country music artists. Donny found himself in the recording studio alongside Garth Brooks and others. The resulting Album is entitled “Stonewall Jackson & Super Friends”. Other artists featured include Vince Gill, Alison Kraus, Tim McGraw, Charlie Daniels – a host of the country music superstars and “legends”. Richmond moved to Nashville in 1993, and since that time has gone on to make history by charting both on mainstream Country Music Charts and Christian/Country Gospel Charts simultaneously. 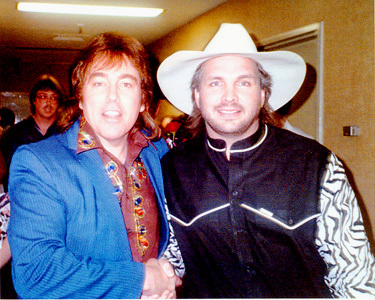 In the U.S. during the 1990’s, Richmond was at the forefront of the “Christian Country Music” movement. He was the very first predominately Gospel oriented artist to be selected to appear on the mainstream Country Music CDX Compilation disc distributed to thousands of radio stations across America, and internationally. Also appearing on the disc were Garth Brooks, George Jones, Wynonna Judd, and Kenny Chesney. 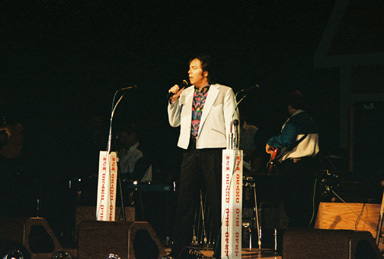 While having many National U.S. #1 Country Gospel songs and winning a host of Music Association Awards, Richmond has also clocked up an extremely impressive list of television appearances, including his own "The Don Richmond Show," which had its beginnings in September 1997 for the Christian Television Network in Nashville, Tennessee, and has been viewed by millions since. In 2001, Donny Richmond's Christmas video, "Heartbreak Holiday," was a smashing hit on American National Country Music Television Networks, including Great American Country (GAC) and VH-1. It has continued to receive airplay each Christmas season, and is now regarded by many as a classic. "Heartbreak Holiday" also led to the Christmas 2005 short feature film of the same name and starring Richmond, which drew rave reviews on American television. Donny has also been featured on TV networks circling the globe. 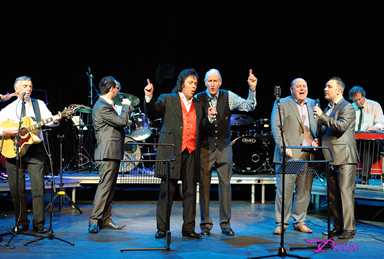 The wonderful response from European television audiences inspired Donny to release more material and to tour there, and to date he has garnered more than 20 European chart singles. 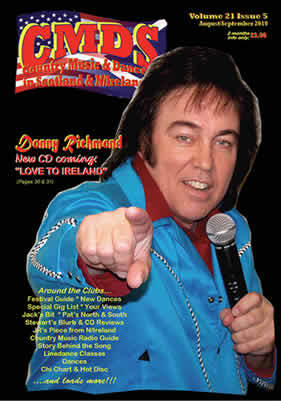 Beginning in July 2006, Donny Richmond had three songs simultaneously charting high internationally throughout Europe; “Jesus Is My Lifeline,” which went #1 on both the Euro Christian and Euro Country Gospel Charts, “He Did It Because,” ranking on the same charts, and “Next Times,” which reached #2 on European Country Music Charts. Many notable successes are included in Richmond’s string of hits. Donny’s “Ask The Man Upstairs”(co-written by himself and David Walker) was #1 throughout Europe in 2007 on both the Christian and the Country charts. His recordings of “I Can’t Help But Wonder” and “They’re Watching Their Love Slip Away”(both written by Irishman Walter Cunningham) were #1 Country hits in several countries. “That’s What Christmas Means” recorded by Donny with an all-star cast of musicians including Hall Of Famers Charlie McCoy(harmonica,vibes), Boots Randolph(sax), and James Burton(guitar), was #1 on Europe’s Christmas Charts, 2009. This song was co-written by Donny, David Walker and Randy Smith. In 2011, Richmond’s recording of “Gospel Jukebox”(written by Walter Cunningham) became the longest running #1 song in the history of the European Christian charts, breaking the previous record set by Vince Gill. 2012 saw Donny’s “I Believe” become the longest running Top 20 song of the year. In 2013, “I Believe” is also still in current release internationally, receiving pop radio airplay. “The Jailhouse Rocked”, which reached Europe’s #2 in 2012, was a previous #1 for Donny on the national U.S. Christian Country Charts. Tabulated by the European Country Music Association, Donny’s recordings have reached #1 in more than a dozen countries. Donny has appeared in sold out concerts alongside U.S. country music legend George Hamilton IV and others, including many of the top European stars. 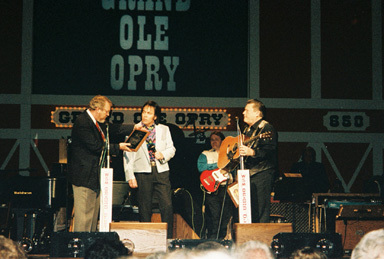 World famous backup singers, The Jordanaires, are also to thank for Donny’s success, as they have appeared on many of Donny’s hit recordings. Longest Running National U.S. #1 Chart Streak (5 straight months) NOTE: When "JESUS IS MY LIFELINE" entered its #1 spot, it replaced another Richmond #1, "WHAT WILL HE SAY." Songs in EVERY Top 10 Chart for an entire year--two songs in the Top 5 simultaneously. Longest running #1 European Christian chart streak for "Gospel Jukebox". Performances include THE GRAND OLE OPRY where, among other awards, Richmond was presented with Stonewall Jackson THE LEGENDARY ACHIEVEMENT AWARD for their duet, "JESUS IS MY LIFELINE," the longest-running national #1 Christian Country Chart Song of all time (4 months). Recipient of the LIVING LEGEND AWARD by the Country Gospel Music Association. Numerous television appearances, including nationally and internationally: Great American Country Network (GAC), The Nashville Network (TNN), Trinity Broadcasting Network (TBN), Gospel Music Television, MTV/VH-1, Blue Highways TV, Europe's Revelation TV , Genesis TV, Canada's Miracle Network, The Austrailian Christian Channel, various New Zealand networks, Mediterranean countries, Carribean countries, South Pacific countries, and host of his own syndicated and Christian Television Network Program, "The Don Richmond Show" and "Donny Richmond Classics".